The perfect shirt for all occasions and all season, also great for work or dressed down with denim. 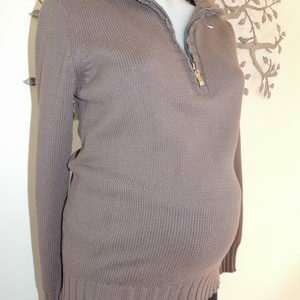 The shirt is new with tags by Maternity Plus. It is a lovely crisp cotton blend with elastane so it has some stretch. The shirt has a throw out collar and is beautifully tailored for the perfect fit, with darts front and back. The shirt has a long cuffed sleeve. Be quick to get your size! Please email me with preferred size after checkout. Also available in grey or olive. 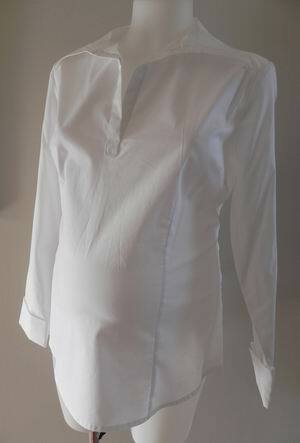 Be the first to review “NEW Crisp White Cotton Collared Maternity Shirt” Click here to cancel reply.